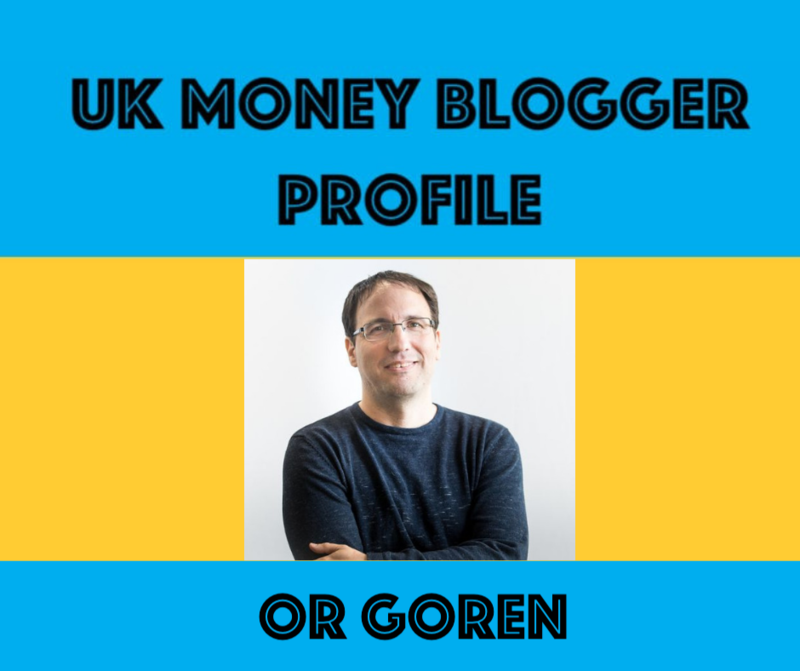 This week we caught up with money blogger Or Goren, author of Cord Busters and SavvyLondoner to discover how he first got into blogging and his top money saving tips. I run two blogs these days. One is Cord Busters , where I write about TV cord cutting and how to save money by ditching the expensive cable/satellite companies. And the other, newer one is Savvy Londoner , where I write about living a frugal life, earning money, and in particular – saving money in and around London. I used to have a “complicated” relationship with money. Up until 6 years ago, I lived with debts. But unlike some people, I was always very much aware of my financial situation, checking my bank account every day, and living with constant worry. Despite that awareness, however, I still had no idea how to break that cycle of debt… until I eventually decided to tackle this thing head on (with help from Dave Ramsey, the American financial guru). When I saw how much this process changed my life – I wanted to let other people know about it too. I’ve been a writer for many years, writing about other topics. But following my “money makeover”, I started my first money blog, back in 2012. I was still living in Israel at the time, so the blog was in Hebrew, and it did quite well. When I moved to London, I still had that need to write. So after a few months, I started Cord Busters, and after a couple of years I wanted to have an outlet where I could write about general financial issues again – so I started Savvy Londoner. The whole TV cord cutting topic is quite big in the US, but only beginning to gain traction in the UK. People are beginning to understand they don’t have to pay so much to companies like Sky and BT, when they can, instead, watch excellent TV on demand via companies like Netflix (not to mention Freeview, which is – literally – free). So this guide gives people a bird’s eye view of all the cord cutting options they have in the UK. I wanted to write a new post for several days, and couldn’t come up with the energy to write something from my list of topics. Then I started thinking about my grandparents (who are no longer with us), and how – without any blogs or financial “gurus” – they always knew how to handle their money, never going into debt, and only spending money they actually had. So I sat down and started writing everything I’ve learned from them (regarding money), and when I got up two hours later, the whole post was done. Keep writing. Write a lot. I know it sounds obvious – but as bloggers, we often get sucked into everything that goes around behind the scenes: promoting the blog, SEO, social media, reading advice, taking courses… there’s so much to do and learn, that sometimes we forget to just sit down and WRITE the blog. And while promoting the blog is important – you’re not going to have anything to promote if you don’t actually write content. I work from home full-time, and things can get pretty lonely (professionally). So the UK Money Bloggers group is a real godsend – a place to get advice, share the successes and the rants, and even just chat with likeminded bloggers. That’s a tough one because there are so many good ones, but I’ll name Emma Drew, Andy Webb and Fiona Hawkes. A monthly budget! Everything changed once we started living by a set budget (which we create a few days before the beginning of each month). When you PLAN what to do with your money, and then see where it actually goes throughout the month – you’re making your money work for you, instead of it dragging you by the nose. Fast broadband. I’m with Virgin Media because, unfortunately, no one else comes close to the broadband speeds they offer. So I still haggle for the best price I can get, but there’s only so much you can do when the competition is this limited. Still, because my job depends on a fast internet connection (AND my streaming TV watching), I’m willing to spend a bit more. I used to be a dog person for many years – until we adopted Oliver, our cat (or rather, he adopted us). All cats are unique, but he truly is special – and he helped change my whole perspective on cats and how smart and emotional they really are.